My last post was about Diigo: Personal Information Management System .Today i’m going to tell you guys about a Geeky Twitter tool that allows you to manage your twitter followers in a breeze . Its really a hectic task to manage twitter followers,isn’t it? especially when you have a large fan following or your constantly increasing fan base. Barack Obama has over 6,121,509 Followers and he is following around 707,855, that’s really huge phew!! Does Twitter offers a way to manage followers in a breeze ,just with one click? the answer is no.I have found a online twitter management tool called Tweepi. It makes are job a lot more easier as it displays all the followers in form of a Spreadsheet. So follow back or clean with a click of a button. Twitter is used for a variety of reasons, one of the main reasons are Business, then others like Favorite Sportsman,Celebrity,Technology,Dancing etc. Geeky Follow allows you to find people of your interest and also follow as many you want with a single mouse click. Over 40 people can be followed at once. How many times you have been annoyed to see that people whom you are following are not following you back. its irks isn’t it? Then finding them and unfollowing them take up a lot of time. To make your work simple, A simple tool to Flush people who are not following you back. Unfollow all of them instantly with Geeky Flush. Imagine you logged in to Twitter today and your surprised to see your fan base doubled.you would surely be happy but the second thought that comes into your mind is that “I need to Follow them back”. and its really a tough rather tiring task to follow everyone who has followed you. With Tweepi you don’t need to worry, just follow all of them instantly. or as we say Bulk-Follow. I love this tool personally. One such tool to find which users are often not sharing Interesting topics,links,Retweeting.Unfollow them, as you all know by now “with a click” . 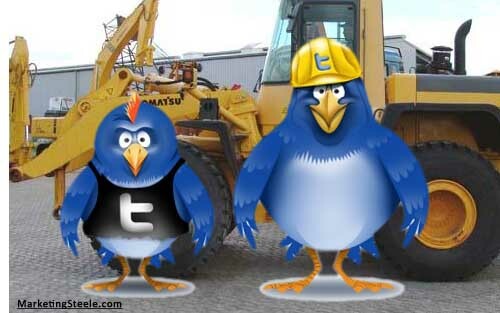 In short Tweepi is a collection of simple tools that makes life of twitter user more easy and enjoyable. With Tweepi everything works faster. Follow,Flush,Reciprocate,Cleanup Faster!